Permetosc Permethrin soap is a dermatologist approved bathing bar that washes away germs and keeps away its harmful effects. 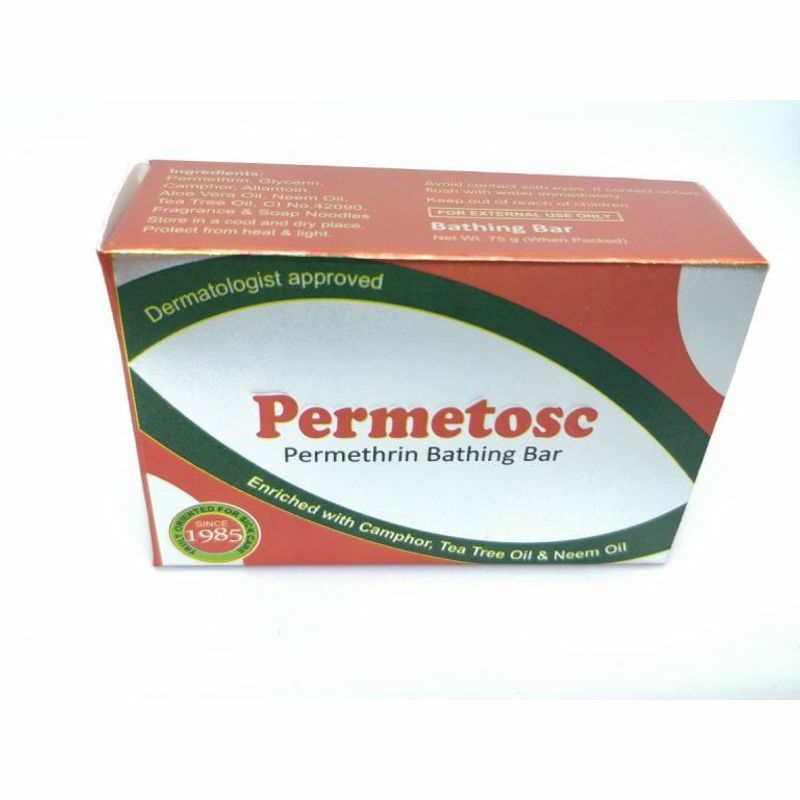 Permetosc Permethrin Bathing Bar is enriched with Camphor, Tea Tree Oil & Neem Oil. Permetosc Permethrin Soap saves your skin from the harmful effects of dust and pollution, removes all the impurities and makes your skin soft and beautiful. It relieves skin itching, irritation, fungal and bacterial infections and soothes skin rashes. Camphor also helps to cure Acne and treats Eczema. Glycerin is an excellent skin hydrant & provides moisture to skin. Explore the entire range of Soaps available on Nykaa. Shop more Permetosc products here.You can browse through the complete world of Permetosc Soaps .